Barbra Streisand and James Brolin. 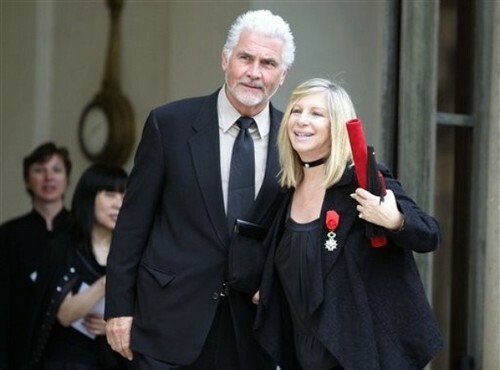 Barbra Streisand and her husband,James Brolin, shows the medal of Officer of the Legion of Honor, France's highest award, she received from French President Nicolas Sarkozy. Wallpaper and background images in the Barbra Streisand club tagged: barbra barbra streisand babs james brolin legion of honor. This Barbra Streisand photo contains traje de passeio and terno de negócio. There might also be terno, terno de roupas, terno de roupa, bem vestido pessoa, terno, calças de terno, terninho, pessoa bem vestida, terno das calças, pantsuit, and terno de calça.